I NEED to help people to reach their full potential. You’ll notice the emboldened criteria are identical to those of the Agile Team Member. Pascal and I spend a lot of time thinking and learning about the different types of Agile Team Members we want to work with and the kind of Agile Coach we want to become. The Agile Team Roles and Responsibilities remind us to set the bar high for the kind of Agile Team we want to grow and be part of. 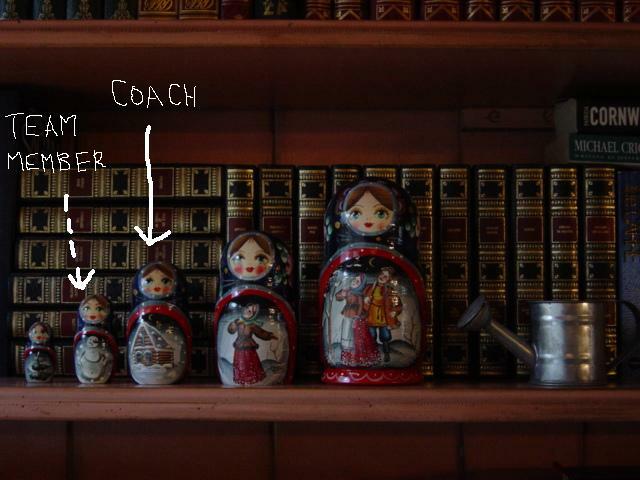 The entry 'The Role of an Agile Coach' was posted on April 24th, 2009 at 2:00 pm	and last modified on April 25th, 2009 at 6:40 pm, and is filed under Coach's Log, Team. You can follow any responses to this entry through the RSS 2.0 feed. You can leave a response, or trackback from your own site.